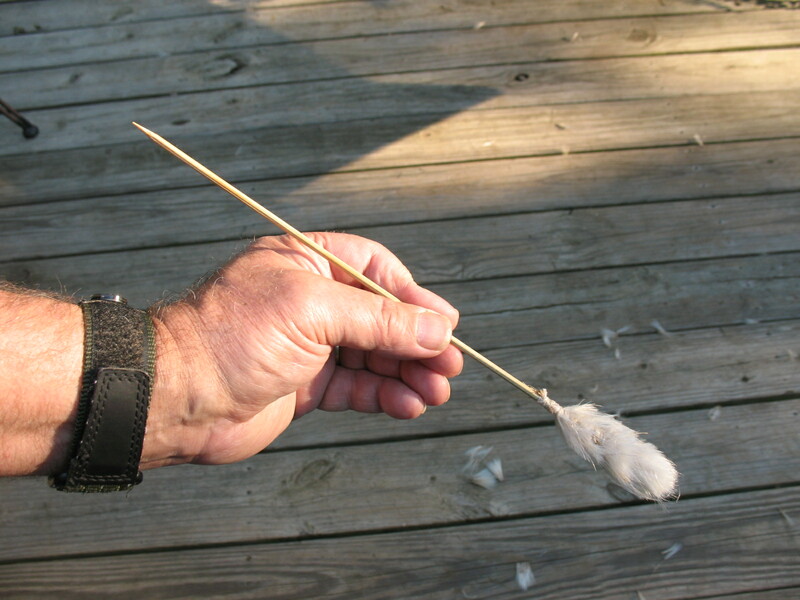 A blowgun dart consists of two basic parts; the shaft which is made of wood, and the fletching which may be made from thistle down, raw cotton, or downy bird feathers. No matter what the fletching material, it is attached using the same method. I am going to show you how to make darts using thistle down. It is not easy. You will probably fail at your first couple of attempts; but if you keep at it, you will be successful. If you just absolutely can’t master it, I am going to do another post on how the Japanese used paper to fletch darts. It’s quite a bit easier. Pictured below: Finished thistle dart. The first step in making darts is to make your dart shafts. 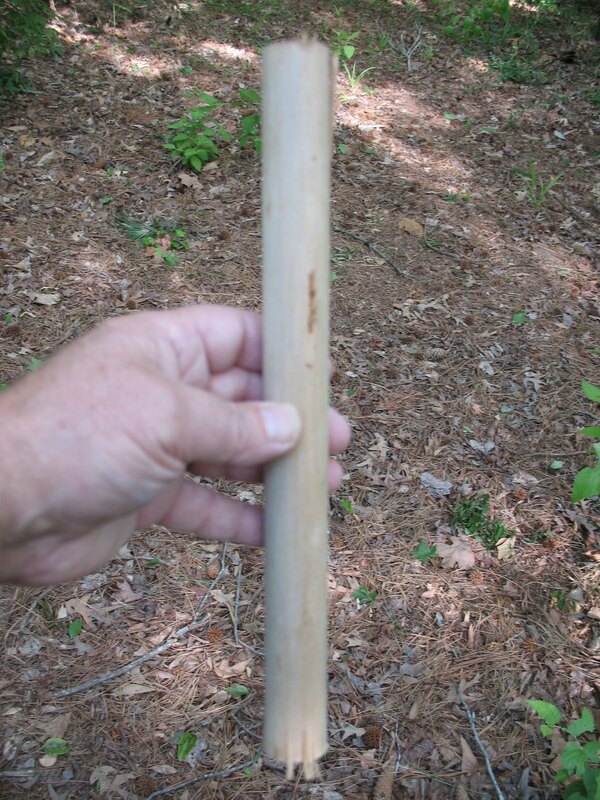 I have read that the Cherokee and Choctaw made their dart shafts out of split White Oak. I like to make my dart shafts out of splits from River Cane. 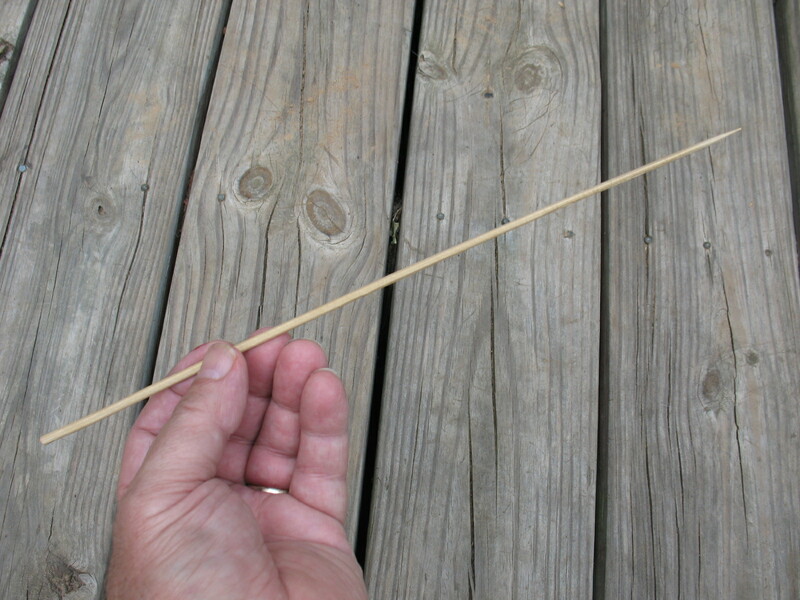 I already have River Cane lying around from making blowguns, it is easy to split, so that’s what I use. If you want to be really lazy you can go to the grocery store and buy a package of the thin bamboo shiskabob skewers. They work great for making dart shafts. 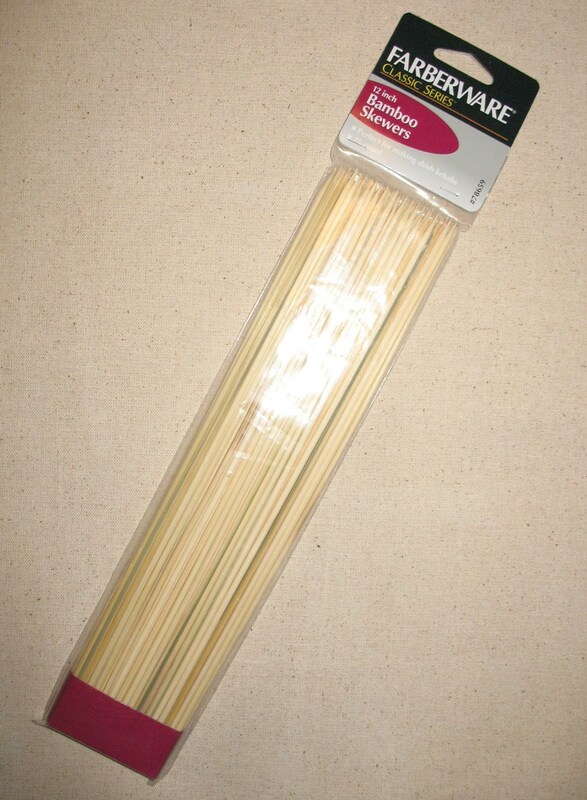 Pictured below: Store bought bamboo skewers make good dart shafts. To make River Cane dart shafts select a dried piece of River Cane that has walls about an eight of an inch thick or more. 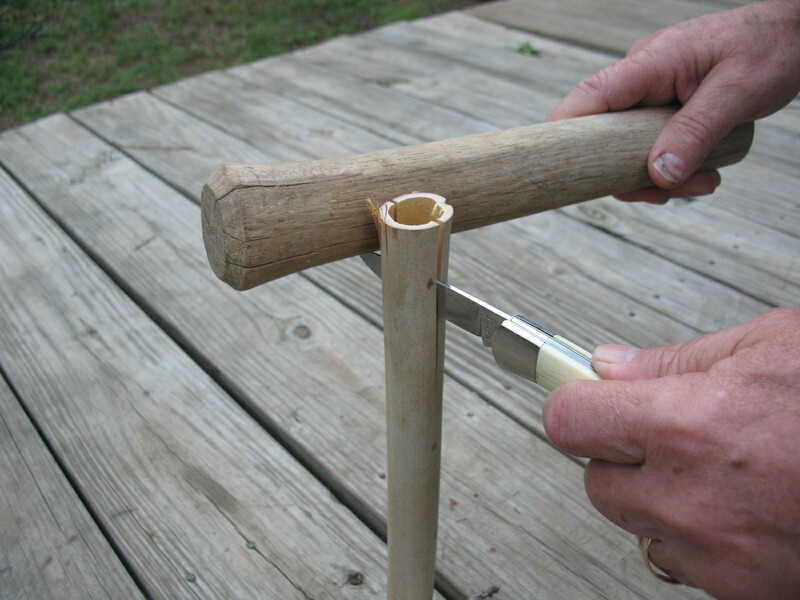 You want to cut the cane up into sections removing the joints. You are looking for a hollow tube about 12 inches long. 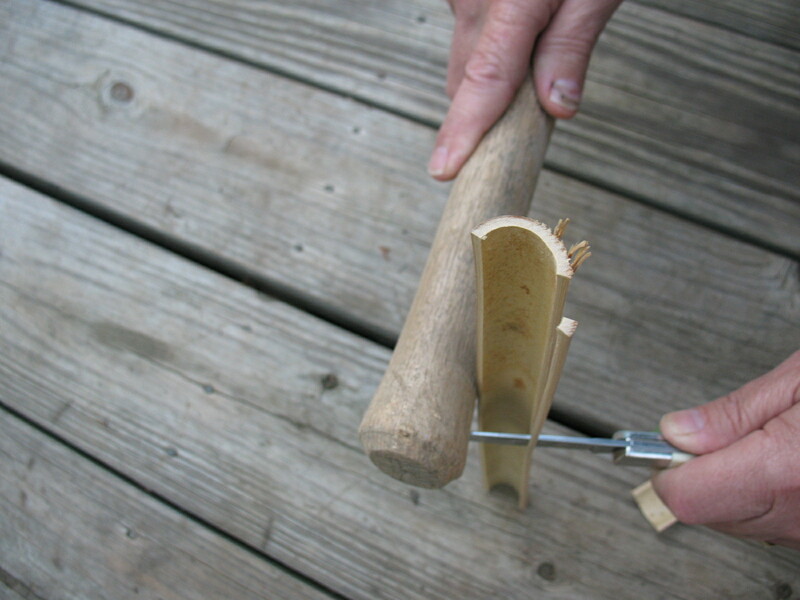 Pictured below: top, section of cane; bottom, section of cane with joints cut off of each end leaving a tube. Turn the tube up on end and split it in half. 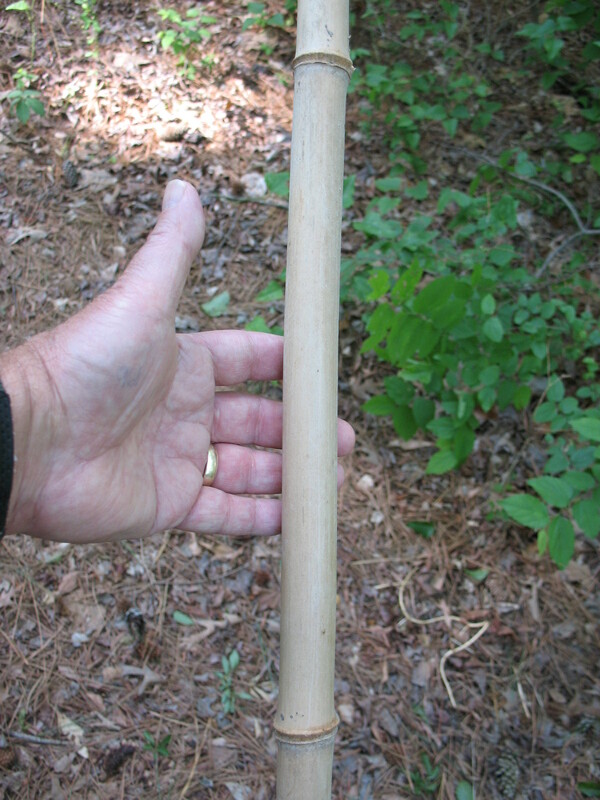 The cane will split easily with a sharp knife and a light tap with a stick. Pictured below: Splitting cane with knife and stick. Now start splitting off pieces of cane that are about one-eighth to three-sixteenths inch square and as long as possible. Pictured below: Splitting off rough cane shafts. Take the little square splits of cane and use a sharp knife to scrape them round. Congratulations, you now have a dart shaft. Pictured below: top, finished cane shaft; bottom, comparison of homemade cane shaft and store bought bamboo skewer. To make thistle darts you will be using the down from an unopened thistle flower. There are two kinds of thistle that grow in East Texas. Bull Thistle (Cirsium vulgare) is a large thistle that blooms in early spring. This is the thistle that I use for dart fletching. There is another thistle called Texas Thistle (Cirsium texanum) that blooms in the late spring and early summer. Texas Thistle has considerably smaller flowers than Bull Thistle, but it can still be used to fletch darts. 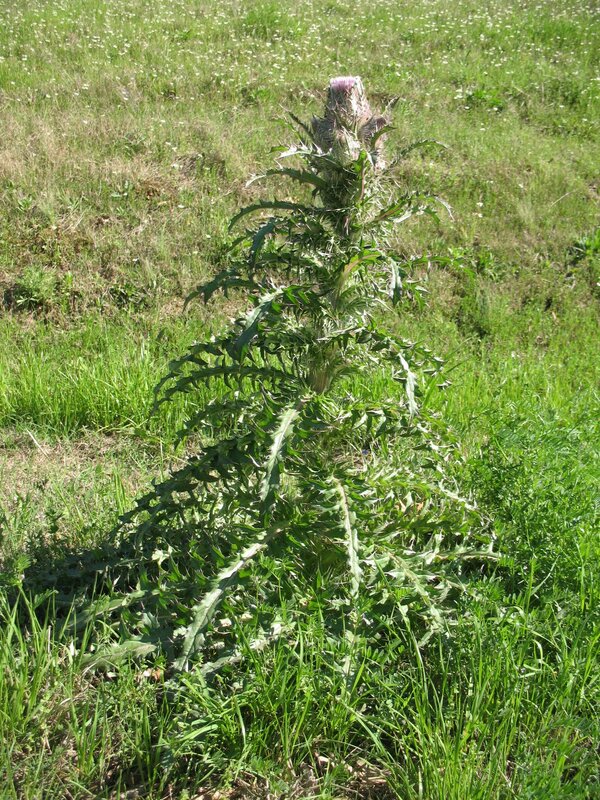 Pictured below: Bull thistle plant. Thistle heads can be gathered in the spring before the flowers open and release their down. 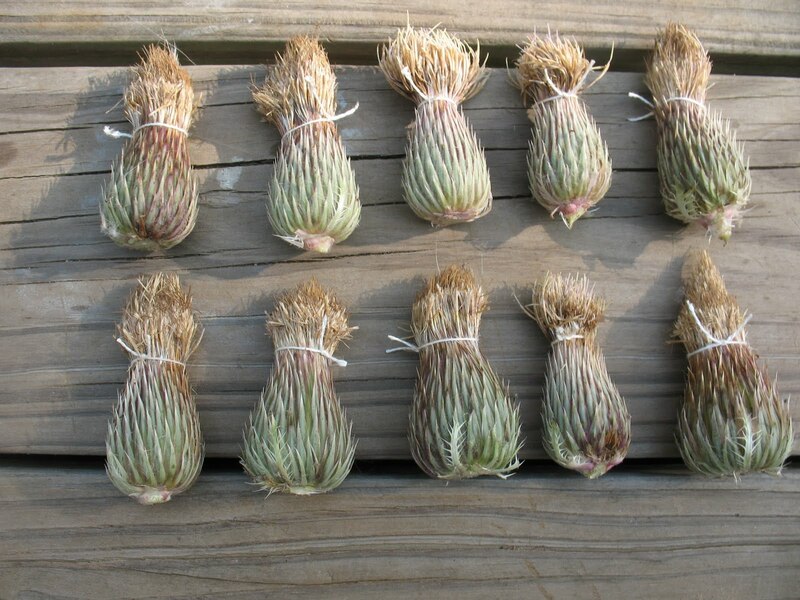 The thistle heads need to be tied closed or the will open as they dry and you will be left with nothing but a bag of loose down. 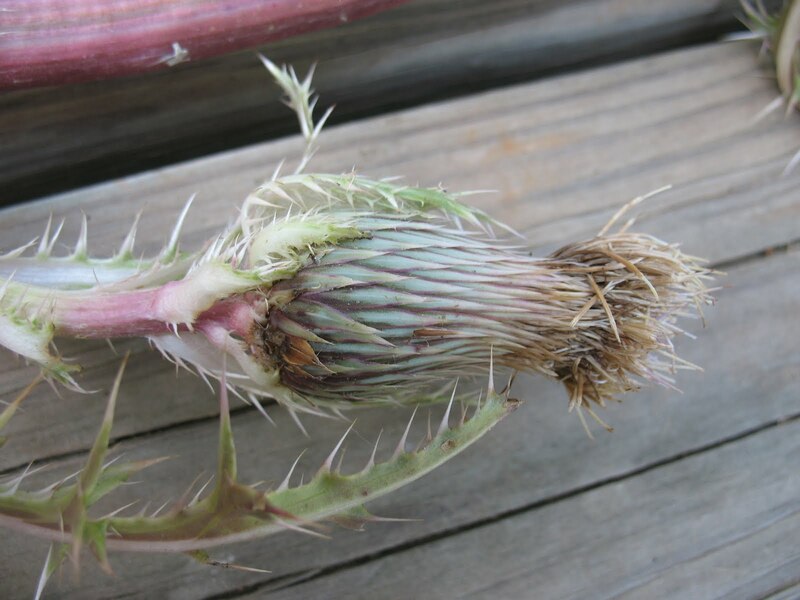 Pictured below: top,Unopened thistle flower; bottom, thistle flowers gathered and tied closed. In the next post we will tackle the tricky task of attaching the thistle down to the dart shaft. Here’s a hint: No glue is involved.